Hello Friends! We are buying a new home, modest but it will be a brand new construction and was wondering if you have any suggestion on how I could proceed with a home theater project. The main room in the basement will be 26-0 x 20-0. 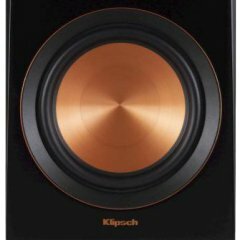 Now, the only speaker from Klipsch I've heard are the ones at Best Buy, they sound good but I wanted to listen to them for real. It seems that around Washington DC they don't have a show room. Based on everything I read and specially the YouTube videos, that's what I want for my home theater 9.2 or 11.2 all Klipsch. So, should I start the home theater project now during the construction or should I wait? I'm supposed to have a meeting with the person in charge of the electrical etc ... should I ask him? Will they overcharge me? Maybe one of went thru this process. Welcome to the forum. The klipsch speakers at best buy are from the cheaper line. It depends on what you are looking for (5.1, 7.1, Atmos, etc) and what your budget is. I know you referenced 9.1 or 11.1, is this for atmos? Will you be running ceiling speakers? My advice, having built a house a few years back. 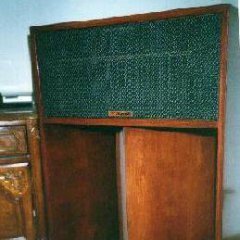 In the HT or music listening room put 2 or even 3 pairs of speaker wire at every position in the room where you could ever imagine putting a speaker. Run them all back to a central location where your gear is going to reside. Hopefully you can plan ahead enough and you know where that central location will be. My suggestion is a separate "utility" room where you can isolate your gear and keep it out of your HT. This assumes the you want to hide all your speaker wire runs in wall/ceiling. Be sure that you also consider insulation and acoustic room treatments as well. Suggest that you check out the Architectural area of this forum for info. Best Buy does free In Home Consultation. Do it as soon as possible because if the drywall isn't up you want to run as much wire as possible as Babadono suggests. You also should entertain any future upgrades like a projector and think about running a Cat-6 cable to the most logical install point. Now is the time to pre-plan and get the details right. I wouldn't even worry about exact speakers at this point. Right now you have an opportunity to do something really special with a room that size. Do some research and consider buying a plan from somebody who actually knows what they are doing like the Erskine Group, or at least do a ton of research. Need to be worrying about your front stage, the a/v closet, running electrical for a projector, your false/baffle wall, rear cubby holes for subs... so many things to worry about. Thank you so much for all your answers, it indeed helped me. So I met with the contractor (he used to work doing sound systems installations) and he advised me to start with the pre-wiring of the room first and go from there. 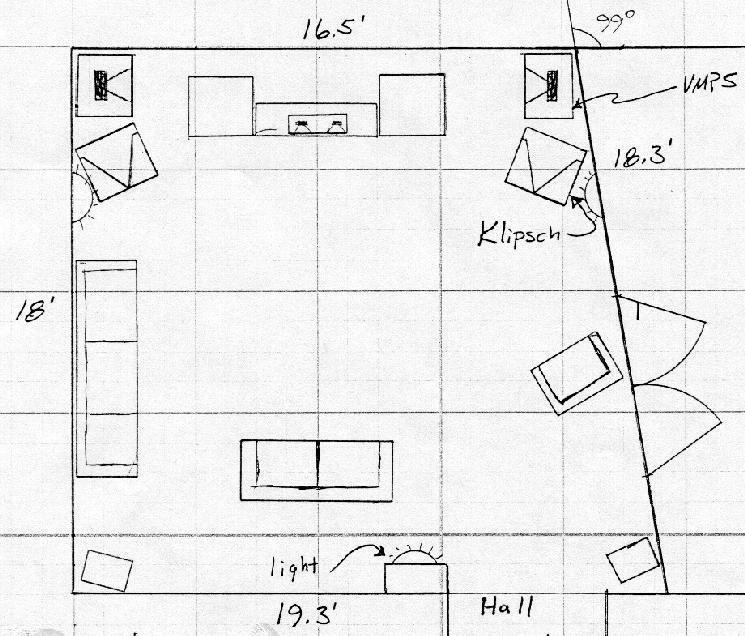 There's also a problem because where I want to TV to be, there's no left wall, it's kind of an open concept basement, so he suggested that we could do 6 in ceiling speakers, 4 R-1650CSM to perform as elevation Atmos speakers and 2 CDT-3650-C II to work as my surround speakers, he said that they can be tuned with a microphone / sensor. The front ones I'll invest on 2 RP front speakers, 2 15" subs and a RP450-CA as center speakers. I built this room in my basement. Actually, 2 rooms, the other side of the angled wall was a bedroom. This room sounded good and my system tested +/- 4dB from 16 Hz to 14kHz without any eq. Run a subwoofer cable to the location of each planned speaker except the ceiling speakers. Until you get to use the room, you won't know the best sub location. You may end up with several subs, too. I'm in exactly the same boat with new home. The combinations for an audio setup are seemingly endless. Also, the technology changes over time and you'll want to allow for this, if possible, as well. For $10k you can do a pretty good job however and it sounds like your contractor will be able to help advise you. For now, just concept your future needs and use that to get your wiring right. Speaker placement is important and don't forget the control wiring too. You have an advantage of having a basement and you may also want to have a way to run future wiring between your basement and your attic (via a conduit). Make provisions to have wires (unless wireless) run out to your patio for at least two speakers, these are always difficult to run later. Then it's a matter of how many zones that you may want throughout your house (unless wireless). After all these decisions you can begin the search for the "right" specific speakers for your listening pleasure. By the way, Crutchfield has a couple of great listening rooms within about 2 hours of DC in Va. but there must be others closer to you as well. One other point, you might want to hold off on specific brand speakers until you get in the house and can hook them up. Most companies provide a 30-day return period and you can take advantage of this in order to try your selection out in your space. Chances are you will like them regardless but always good to leave an "escape" route if possible.